Home > News & Events > News > Call for papers: OGEL special issue on "Energy Law and Policy in the Middle East and North Africa (MENA)"
Call for papers: OGEL special issue on "Energy Law and Policy in the Middle East and North Africa (MENA)"
Oil, Gas and Energy Law Intelligence (www.ogel.org) invites submissions for a special issue on "Energy Law and Policy in the Middle East and North Africa (MENA)". The guest editors of this special will be Professor A.F.M. Maniruzzaman, School of Law, University of Portsmouth and Yanal Abul-Failat, LXL LLP. 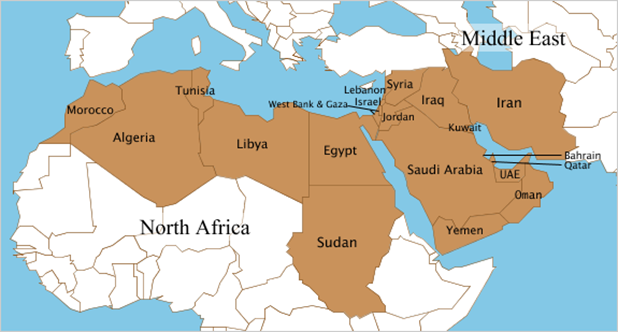 The MENA region is estimated to have 60% of the world's oil reserves and 45% of the word's gas reserves. The region, which includes all the 6 GCC as well as 8 of the 12 OPEC member states, has been the leading global energy supplier for decades. However, with the recent US shale revolution and its inspiration in the rest of the world, the geopolitics of energy is gradually shifting its course and the region's traditional energy power base is being constantly challenged. The recent volatile political situations in the region have also added a new dimension to the problem. The current volatility of energy prices in the global market (primarily triggered by the Saudi-initiated oil price war in repose to the US Shale revolution) and the recent trend of divestment from fossil fuel as a response to global warming and other climate change issues have created some uncertainty for investors and other stakeholders. It is, however, true that fossil fuel will not go away from the global energy-mix overnight, it will be there for several more decades at least, according to various reports. The shift of the MENA's traditional position in the global energy scene threatens the global stability and security of energy supply as well as the region's importance as the leading energy supplier. In order to deal with the situation the MENA governments and related inter-governmental organizations will have to seriously consider some matters such as diversification of energy including renewables, energy security, energy governance, energy cooperation, resource nationalism, sustainable energy development and legal infrastructure, etc., amongst others. The purpose of this Special OGEL is to explore these and other related aspects and issues in the MENA's evolving prospective new policy and legal space. For citation style please follow "The Oxford University Standard for Citation of Legal Authorities" (4th ed.,OSCOLA): www.law.ox.ac.uk/publications/oscola.php.